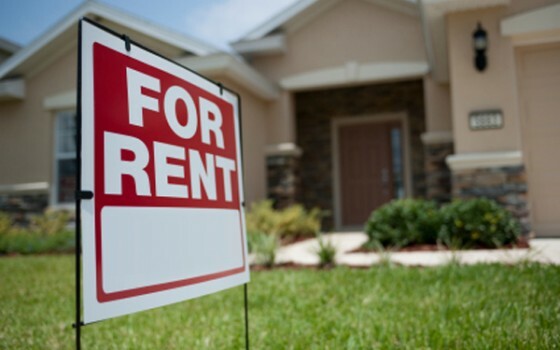 People who rent also need some type of protection for their rental property. Although it’s easy enough to pass such a task to your landlord, they ultimately get insurance for their entire building and not the separate units themselves. As a tenant, in fact, it’s up to you to get the protection that your apartment needs to thrive. You’ve probably disregarded the notion of getting what’s known as renter’s insurance in the past—and that’s perfectly fine. Though, the thing is, having renter’s insurance is important. You might not think that you need renter’s insurance in Florida—but, the prospect of ‘mother nature’ and other disrespectful tenants may make your decision to get renter’s insurance the right decision. Renter’s insurance is a type of insurance policy that not only protects the renter or tenant, but their property, as well. You can choose the amount of coverage and deductible that you need like other insurance policies. You’ll also have to pay a required monthly premium based on these factors and much more. In most cases, the amount of coverage you choose should account for your personal possession’s value, providing enough coverage that ensures that everything will be adequately protected in the case of an emergency. Most Florida renter’s insurance policies, like home insurance policies, cover theft, fire, vandalism, utility malfunctions, weather damage and many other hazards. Most renter’s insurance policies, however, won’t cover damage and/or liabilities from earthquakes and flooding. People who happen to live in areas prone to those natural occurrences have to get specific policies to cover those specific hazards. To get started, you can always look for flood insurance through the National Flood Insurance Program, who naturally provides information for Florida residents concerned about flooding. With renter’s insurance, according to the previous example, anything that’s not listed as covered in a policy isn’t actually covered whatsoever. Thanks to that, you have to talk to your renter’s insurance provider for more information about your coverage options—before signing the dotted line. Renter’s insurance, particularly in Florida, is responsible for covering you and your personal property when you’re renting an apartment or a house. These policies can be customized to cover your clothes, electronics, equipment, tools and other possessions, whether they reside within the home or not. Loss of use coverage. Provides additional expenses in the case of an incident on the insured property. Personal liability coverage. Provides coverage in the case of a third party getting injured at your rental property. Coverage for accident-related medical expenses. Identity theft coverage. Varies by state. Always check with your Florida renter’s insurance provider for more information. Replacement cost coverage. Helps replace your insured possessions. Off-premises coverage for the entirety of your property. The best thing about renter’s insurance in Florida is that there are a variety of different options out there that can suit the needs of you and your rental property. That’s pretty much helped by renter’s insurance quotes on the web that can help you decide the right price for your policy. In Florida, tenants are allowed to customize their renter’s insurance, otherwise known as a HO-4 policy, to gain protection for their personal property within their rental property. In most cases, however, personal belongings aren’t covered by a landlord’s building insurance policy. Many Florida residents are eligible for renter’s insurance coverage for their personal property, a coverage usually known as Coverage C at most insurance providers within the state. It also provides coverage for the personal property of any guests’ personal property if and when their items are located on your rental property. Many renter’s insurance policies have special limits imposed for personal possessions like computers and art collections, that you can separately purchase. Replacement cost coverage, although optional, allows you to essentially replace lost, stolen and/or damaged items according to the item’s brand new and current market price, instead of the likely depreciated value of your former item. Coverage C or personal property coverage usually insures personal belongings starting from $15,000 and up to $100,000. If your rental property becomes uninhabitable, loss of use coverage – also known as Coverage D at many providers – can help provide you with additional living expenses for alternate or replacement housing while your property is being repaired and/or completely replaced. These costs also include coverage for amenities, clothing and food. Coverage D or loss of use coverage covers the loss of a property’s use up to 20 percent of your current coverage for personal property. You can’t get a good renter’s insurance policy without some form of liability coverage. Personal liability insurance, also known as Coverage E, provides protection in the case of someone filing a lawsuit against you, claiming you injured them and/or damaged their personal property. Liability coverage protects you in unexpected situations, especially if it involves legalities related to your property that you can’t cover on your own. Coverage E or personal liability coverage generally covers $100,000 up to $500,000. If you’re shopping for renter’s insurance in Florida, you’re in luck. There are already many available options for you to choose from, particularly if you use Florida renter’s insurance quotes to get you the prices of ideal policies from the web. You can use Florida renter’s insurance quotes and other resources to pinpoint the ideal price you want to pay for your renter’s policy premium. Naturally, you can always consult your local Florida-based renter’s insurance provider for more information. Many people don’t know that they might be eligible for discounts on their renter’s insurance policies, but when they take a closer look, they see that they pretty much are. In Florida, as an example, you may be eligible for a discount if you’re a senior or live in a secured community. You can also get discounts according to the age of the building you’re living in, in addition to discounts that relate to the establishment itself like its structure hosting an indoor sprinkler system for fires. Who Has the Cheapest Renters Insurance In Florida?